U.S. District Court Judge Michael Simon returned the plan May 4 to a coalition of federal agencies, saying that it "cries out for a new approach" that could include taking down one or more dams on the lower Snake River. In a toughly worded, 149-page opinion, Simon said the plan, called a biological opinion, also failed to account for the impact of climate change on imperiled species of salmon and steelhead. It was the fifth time a court has struck down the government's biological opinion, which cost more than $1 billion to implement from fiscal 2008 to fiscal 2014, based on Bonneville Power Administration data. "Despite billions of dollars spent on these efforts, the listed species continue to be in a perilous state," wrote Simon, who presides over the case in Portland, Ore.
Northwest RiverPartners, an alliance that includes many electric cooperatives, said Simon's ruling sets the region "back to square one" and could undermine years of collaboration between federal agencies, Northwest states and tribes, and other stakeholders. "The ruling does not provide a path forward for the region, other than re-doing the plan's analysis and conducting an evaluation of alternatives, including dam removal, under the National Environmental Policy Act," said Terry Flores, executive director of the group. Scott Corwin, executive director of the Public Power Council, which represents co-ops and other consumer-owned utilities, also said the opinion seems to glaze over the progress of record salmon runs last fall. "This is a very disappointing ruling. We are still analyzing it, but it appears that this is a real step backward for what has been a great collaborative effort that has produced a lot of success for salmon in the region,' Corwin said. Simon said the agencies, led by NOAA Fisheries and the Army Corps of Engineers, can continue programs in place under the opinion, first issued in 1992 and last revised in 2014, until a rewrite is finalized in March 2018. But he said they must be more aggressive in protecting 13 species of salmon and steelhead listed under the Endangered Species Act. 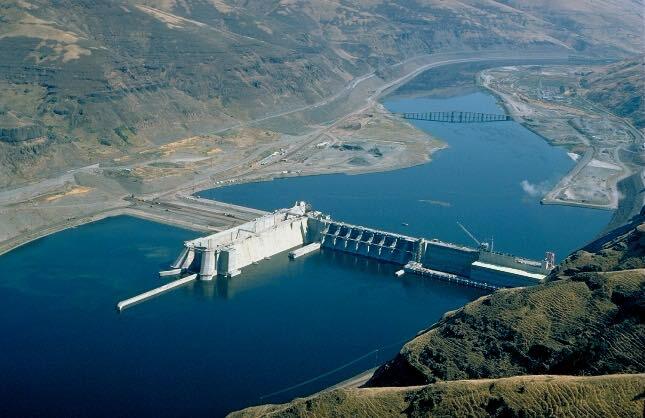 He specifically urged the federal agencies that oversee the Northwest hydro system to look at breaching one or more dams on the lower Snake River. "This is an action that NOAA Fisheries and the [agencies] have done their utmost to avoid considering for decades," Simon wrote. Those dams -- Lower Monumental, Little Goose, Lower Granite, and Dworshak -- combine to generate more than 3,000 megawatts of power, according to BPA, which markets the energy to co-ops and other utilities. BPA has estimated it would cost its customers as much as $837 million a year to replace the power produced by the dams. Simon also chided federal agencies for paying virtually no attention to climate change in their assessment of fish survival. "In light of the fragile state of many of the listed species, such a potential catastrophe should be considered," Simon wrote. NOAA Fisheries said it was disappointed in the ruling and is reviewing its consequences.